Chronic conditions are now easily followed with WiCis Telehealth solutions. Effective patient education has been linked to improved patient satisfaction, and decreased anxiety, lower complications, decreased utilization of emergency department visits for post-operative health concerns, decreased readmission rates after surgery, and decreased healthcare costs. 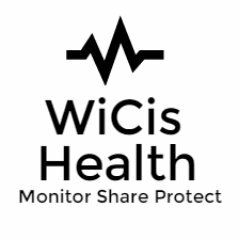 Opioid addiction, Diabetes, Hypertension, Chronic Respiratory Problems, and Obesity can now be treated remotely with WiCIs TeleHealth. The combination of Video-Conferencing, Vital Signs, and specialized forms designed for a particular diagnosis can improve patient outcomes while lowering costs. CareFlows provide engagement and education to patients with chronic conditions. Educational Careflows are available for family or others who may be involved in the management of a patient’s chronic condition. CareFlows may contain standardized instructions and valuable educational content that are very easy to access online at any time. Chat, messaging and video tools are available to improve care providers, communication whenever is needed to reduce anxiety. Monitor different variables, depending on the pathology that a patient has, from anywhere. Set up alerts to caregivers of changes on a given patient. We are experts in moving medical wearables data from anywhere in the world to our server in less than one second using 3g, 4g, Wi‐Fi or satellite. Then when the patient is at home we design a follow up care where we use the latest HD video HIPPA compliant technology and real time biometrics data to engage with patients and monitor different variables, depending on the pathology that a patient has, from anywhere. This solution goes well beyond the video interview. The TATRC staff successfully utilized WiCis suite of virtual health solutions to conduct austere field testing exercises across the Nepalese Himalayas from 19 May to June 15 2017. Equipment was found to be very intuitive, durable and suitable for conducting remote patient monitoring (RPM) demonstrations of forward deployed soldiers. Documented RPM vital signs delays were less than 1.5 seconds throughout the duration of the data capturing phase.